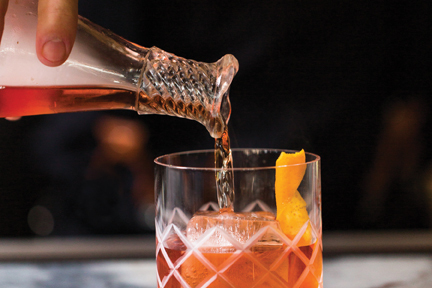 This luxury libation takes a classic drink and adds an earthy applewood twist. Garden-to-glass cocktails are signature at the Grand Hotel’s 1847 bar, and this luxury libation takes a classic drink and adds an earthy applewood twist. Add all ingredients to a carafe. Using a smoking gun tool, add smoke, cover and let sit for 30 seconds. Pour into a rocks glass, add ice and orange peel.